The Guardian News emergency alert Who Is To Blame For Yesterday's Missile Alert In Hawaii? 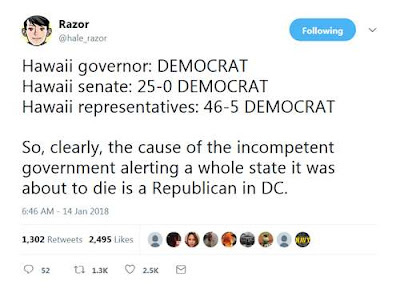 Who Is To Blame For Yesterday's Missile Alert In Hawaii? WNU Editor: So who is to blame for yesterday's missile alert in Hawaii? As commentator James put it .... "Hawaii Emergency Management Agency employee" this agency is a state agency under control of and answerable to the governor of Hawaii.